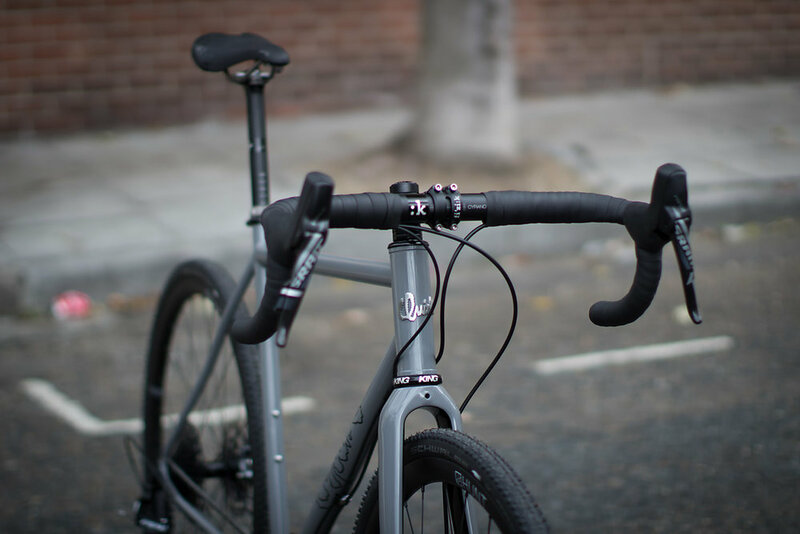 Gravel / CX | Custom bespoke bikes handmade in London — Quirk Cycles | Custom Steel Bicycles Handmade in London by Frame Builder Rob Quirk. Designed for those who no longer wish to be restricted to pristine asphalt this frame is as much at home flying down gravel tracks as it is ripping through the mud. A testament to the unmistakable 'zing' of steel, no other material brings alive gravel paths and fire roads. With clearance for 650x51b or 700x41c tyres, theres no restrictions to where you can go.